Let’s face it: even though EHR adoption is sitting above the 70 percent mark nationally, it still seems many physicians are not pleased with their current systems. This observation has nearly been beaten to death, but despite effusive fanfare around the subject, the actual source of the dissatisfaction remains largely unknown. “We all know EMRs are painful to use. These systems are reminiscent of software from the 90s, with inconsistent menus, obscure placement of data, and overwhelming numbers of buttons,” says David Do, MD and CEO of Symcat. Dr. Do’s analysis gives us some perspective into the plight of physicians and EHR users. 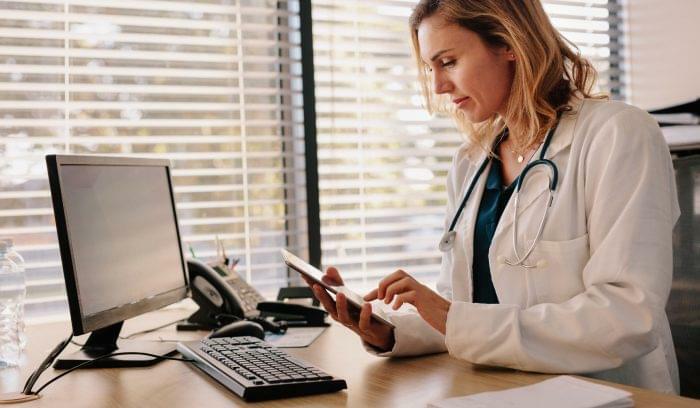 Doctors aren’t just technophobes – 72 percent use smartphones at work and 91 percent want to access their EHR from a mobile device. They also aren’t all as dissatisfied as Dr. Do. 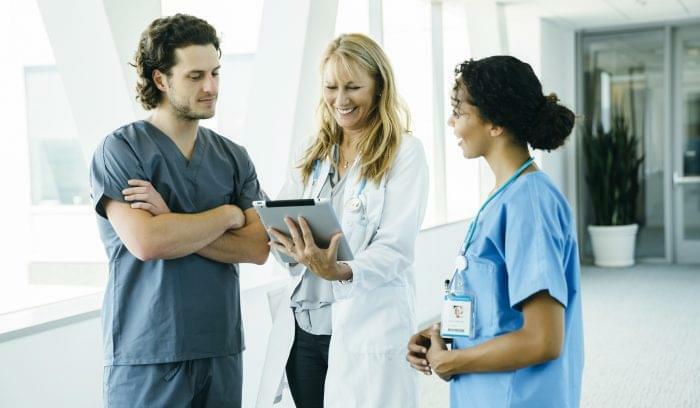 “The highest physician satisfaction score was a 3.8”Medscape’s 2014 EHR survey reports 42 percent of physicians are somewhat satisfied or very satisfied with EHRs. However, other statistics from the survey reveal the complex relationship many providers still have with these systems. 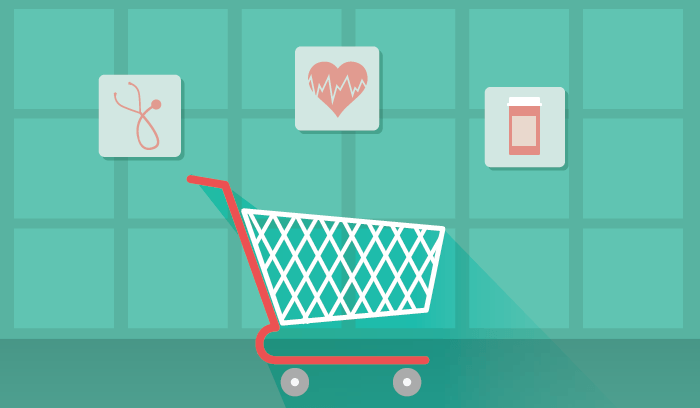 For example, when rating products on a scale of 1 to 5, none of the EHR products in the survey scored higher than a 4 for physician/staff satisfaction, overall usefulness/appearance, or value. The highest physician satisfaction score was a 3.8 – hardly a ringing endorsement. The truth about EHR software is that too many of the first generation products resembled enterprise software, or software utilized by large organizations to serve a number of custom use cases. This software is functional, but far from enjoyable. 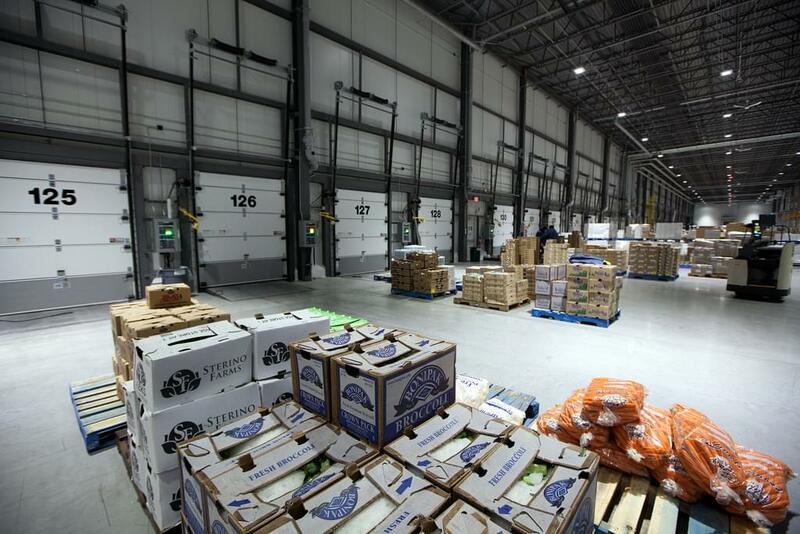 Warehouse MGMT? Better Get ERP Software. When microprocessors brought computing to the masses, an increasing number of consumers became acquainted with personal computing. The software for these machines was far from perfect, but it was functional. And while personal computers continued to evolve to fit the needs of the market – becoming easier and easier to use – business software lagged behind. As an example, take the enterprise resource planning (ERP) rush of the 1990s. Enterprises and mid-market firms began to understand the power of automating business functions such as supply chain management and procurement. Unfortunately, integrating software across an entire business remains a daunting task, and customizing software to fit the way each business operated resulted in software that worked, but that was by no means user friendly. Even now, ERP software has a less than desirable implementation rate. A 2013 Panorama Consulting survey found that 59 percent of ERP implementations went over budget, and 53 percent failed to meet their projected schedule. 56 percent of businesses realized half or less of the hoped-for business benefits. “Enterprise software” developed a reputation as unusable and buggy. Rather than satisfying the needs of the user, this software satisfied business requires with little consideration for user experience. Sound familiar? In stark contrast to unwieldy enterprise applications, consumer technology has become substantially easier to use, thanks largely in part to Apple. The arrival of the iPod and iPhone symbolized a paradigm shift in the way consumers thought about technology. The iPhone in particular raised consumer expectations for user friendly technology. The introduction of a mobile device with an intuitive interface that could easily surf the web erased the technophobia previously surrounding smartphones. The iOS operating system emphasized simplicity, and the public responded. 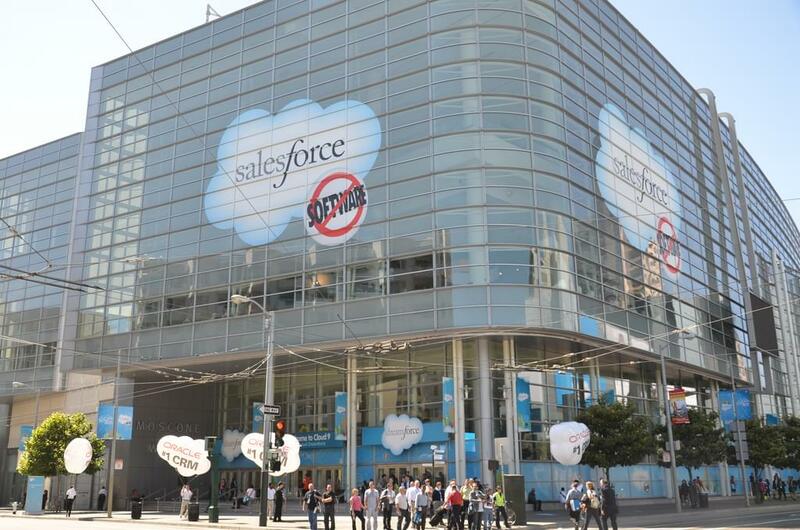 Salesforce.com played a similarly important role in changing the technology landscape in the business world. Founded in 1999, this customer relationship management provider was the first to bring a CRM product to market as a pure Software-as-a-Service (SaaS) offering. This freed companies from having to pay large licensing fees and buy physical hardware to support increasing processing. Take a look at any business technology vertical and you’ll see the ramifications of Salesforce’s SaaS product in both up and coming market offerings as well as established vendors scrambling to produce cloud offerings. Together, the combination of Apple (and other consumer-facing software) and Salesforce’s SaaS model have helped jumpstart a trend known as the Consumerization of IT. It’s a clumsy phrase, but it signifies something dramatic. “When you and I go to work and we use a computer to work, and find that our work apps are completely onerous and the apps we use at home are quite easy, we wonder why it can’t be simpler, easier, quicker, and less expensive,” says Peter Levine, a venture partner at VC firm Andreessen Horowitz. Increasingly, consumers expect their business software to match the software they use in their personal lives. A lot of attention gets placed on bring your own device (BYOD) trends where employees use personal devices on a business network, which does represent a step forward for business and employee freedom. But the consumerization of IT has much more to do with usability than it does with mobile. Employees bring their own devices because the technology is simple to use, and they don’t understand why business software needs to be so complex. IDG’s 2014 Enterprise Study offers some positive signs for this trend. 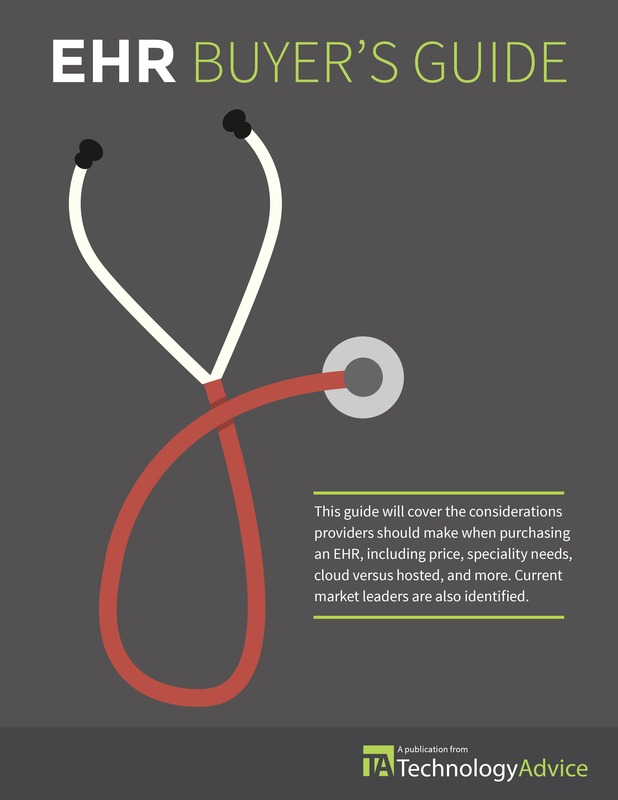 The current EHR market has undeniable parallels with other business technology industries in that it’s also starting to come out of its enterprise dark ages. New cloud-based systems that can more easily communicate with other systems are replacing client-server products designed to keep data within a small network. Usability, or the ease with which a user can accomplish a task is increasing as well. 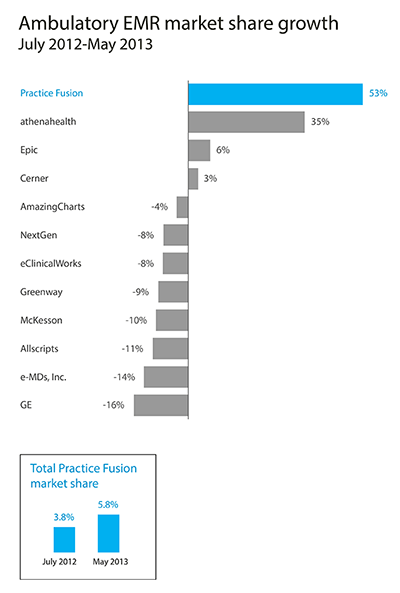 As an example, Practice Fusion, a pure SaaS product, is growing faster than any other EHR on the market. Other software such as Kareo and Carecloud emphasize usability in order to make physicians’ and users’ job functions easier. Unfortunately, if you purchase an EHR to achieve Meaningful Use alone, you may never be satisfied with your software. It’s often argued that Meaningful Use has little in common with clinical practice and that recording the required information borders on arduous. This is particularly important in healthcare, where poor usability or inadequate training can be tied to medical errors. In similar fashion enterprise software is often selected to meet a set of business requirements set by executives who don’t have to use the software on a daily basis. In larger hospital settings, this could be an administrator that doesn’t include users in the purchasing decision or setting requirements. In this sense, some of the control will always be out of users’ hands as long as they work in large enterprise settings, because the perpetual flaw of enterprise software is its combination of a poor procurement process with distinctly cantankerous software. Private practices have a much better opportunity to find systems that are both remotely hosted and significantly more usable. First generation EHR products focused heavily on documentation for billing and patient records construction but failed to properly fit into the clinical workflow of physicians. Newer software does and will continue to emphasize usability — more platforms it’s their competitive advantage. Does that mean that physicians will all finally make peace with EHRs and celebrate more secure documentation and faster information transfer and retrieval? Unlikely. Does it mean that any software hosted in the cloud will be phenomenal? No. 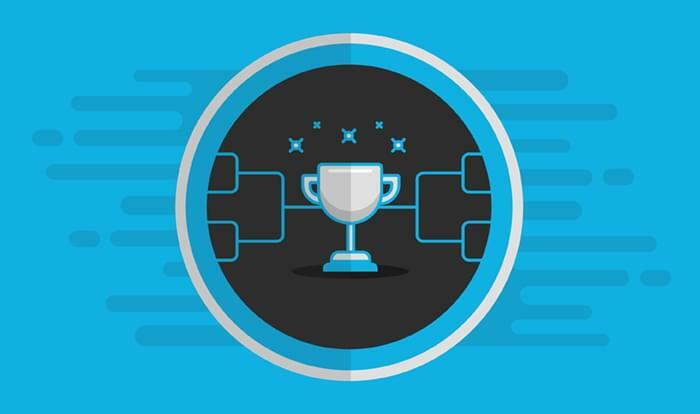 What it does mean is that new products are entering the market that prioritize usability and simplicity, which matches a trend across business software. Smart buyers must remember to try before you commit and to always place usability at the top of the buying list. The market isn’t bereft of user-friendly options anymore, and that’s a turning point. Learn more about the benefits of EHR-EMR with our market-leading research.